We are swiftly approaching party season and that means party food! We’ll all be hosting social gatherings in the next 38 days, whether it be the full on Turkey dinner on Christmas Day for your family, or cocktail parties with your friends or having family round for tea and cake on a Saturday afternoon. Don’t cop out of all this hosting by bulk buying oven baked party snacks from Iceland, really impress your friends and family by whipping up a few homemade treats yourself. It doesn’t have to be over complicated or elaborate. 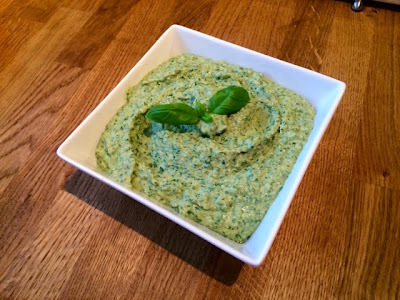 A few dips and nibbles will always go down a treat when friends come round for drinks and a well chosen dip will have people asking you for the recipe for months. 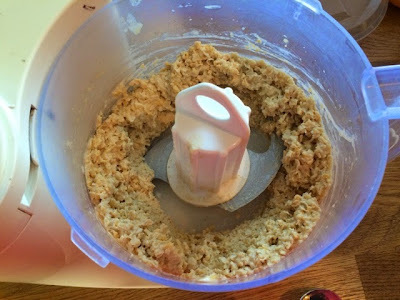 If you have a food processor or a hand blender dips are the easiest homemade treat to make for such occasions as everything goes into the bowl, gets whizzed up and then you’re done. Houmous is a favourite loved by all, but it can get a bit samey and boring. Luckily it’s also really easy to jazz up and transform into something more exciting. 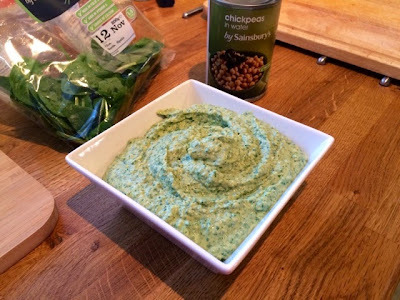 After making a basic houmous mix you can throw in all sorts of extra ingredients and flavourings to make it a little bit different. 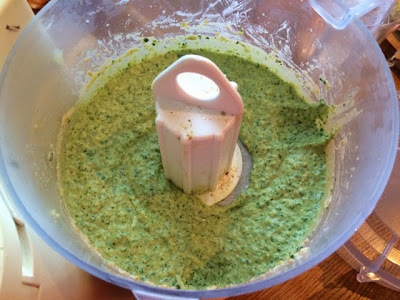 This time I’ve used spinach but roasted red peppers or beetroot would make really tasty alternatives. 1. 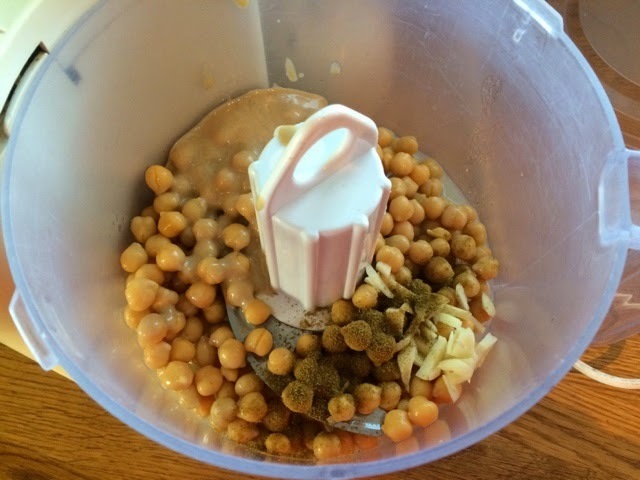 In a food processor whizz up the chickpeas, tahini paste, garlic and cumin to make a basic houmous. 2. 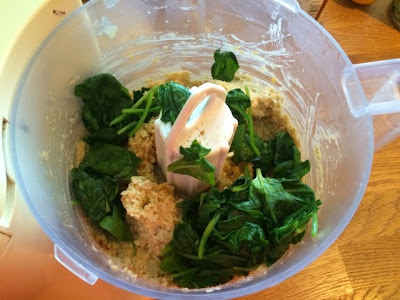 Throw in the spinach and blitz again until your mixture turns a nice bright green colour and everything has been thoroughly chopped up. 3. Use the lemon juice and salt and pepper to season to your taste. Tasting is so important, I never get it right first time, I always taste and end up adding a pinch more salt or a squeeze more lemon juice to get it just right. 4. Dish up ready for your party guests with flatbreads or crudités for dipping. Or alternatively eat it all to yourself because it’s just so yummy!